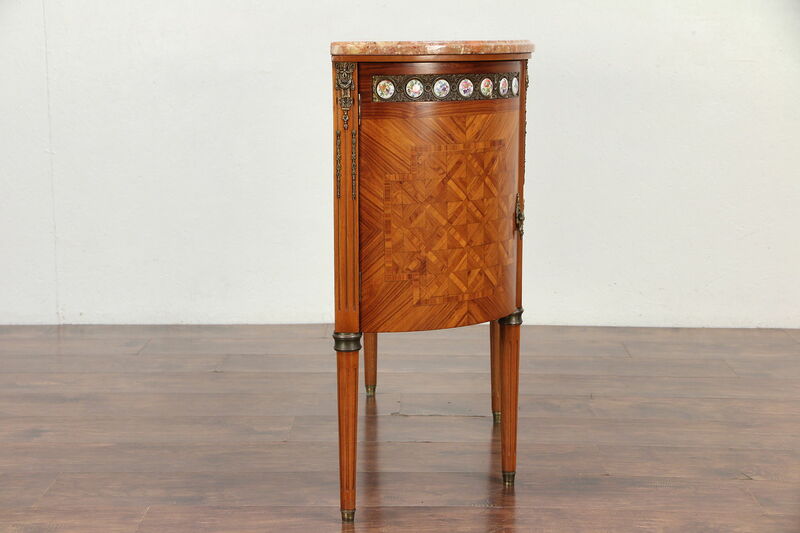 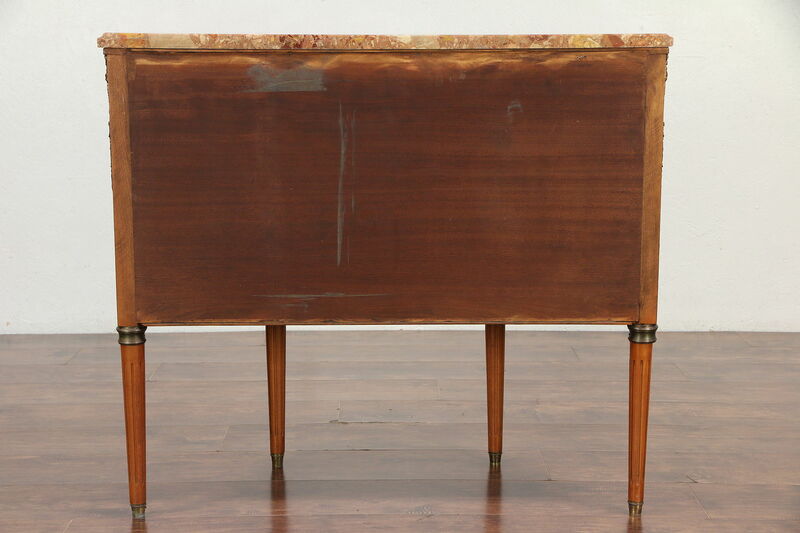 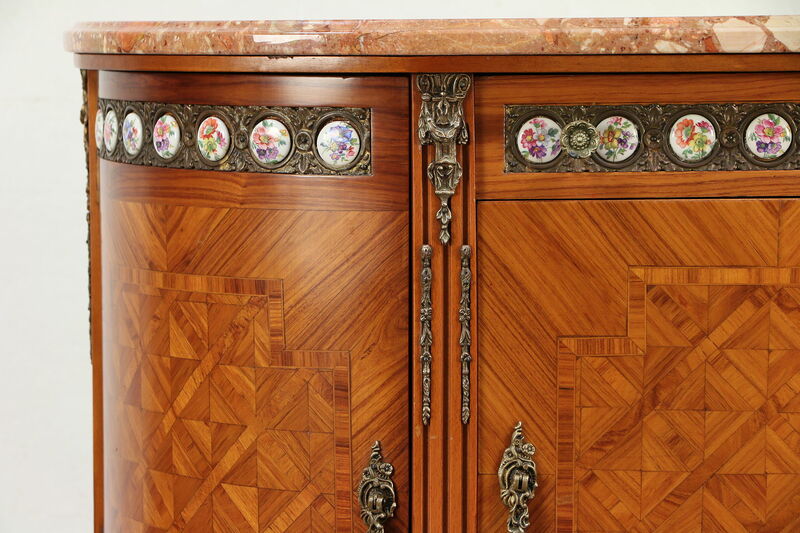 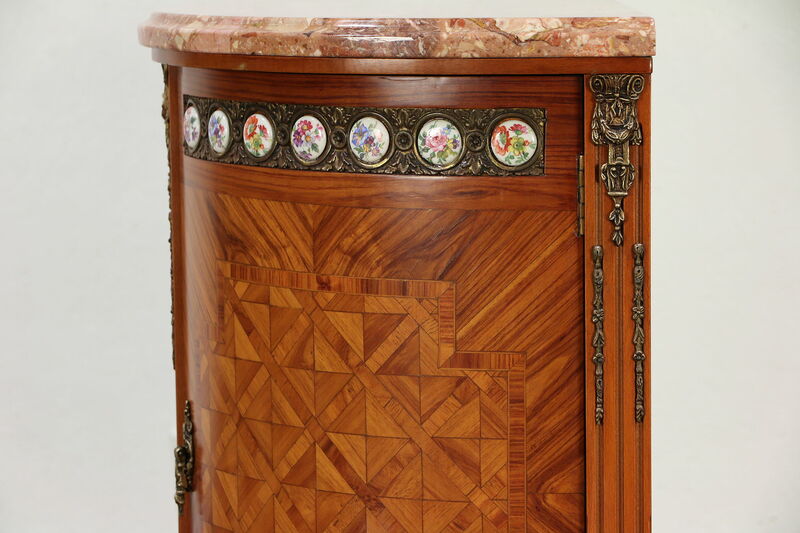 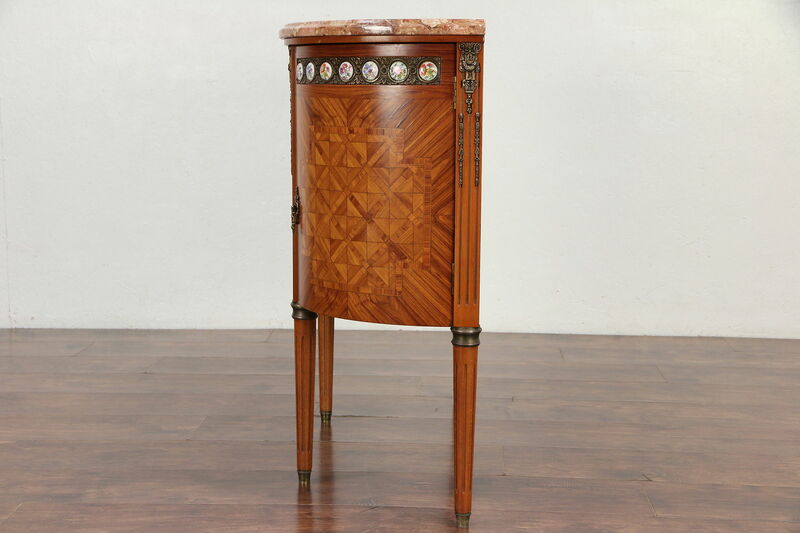 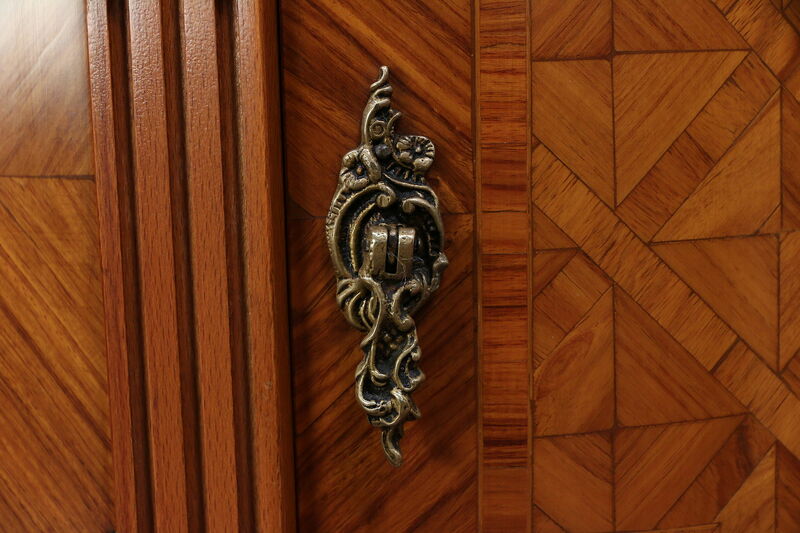 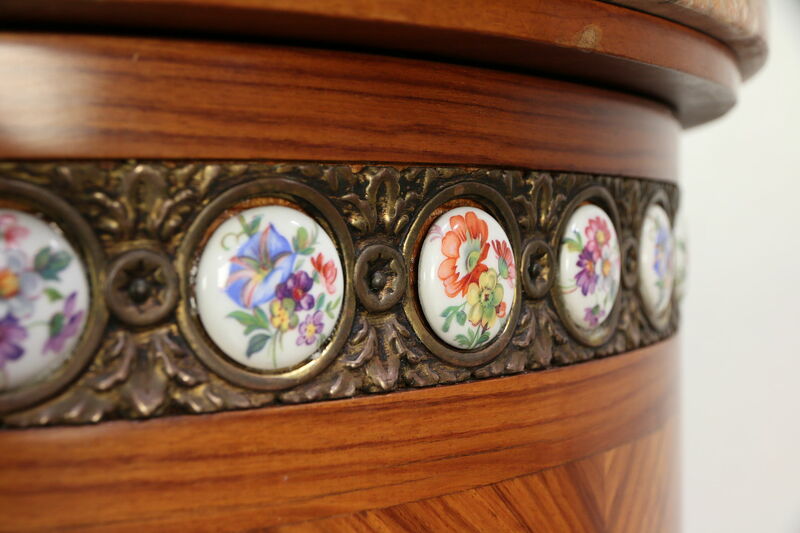 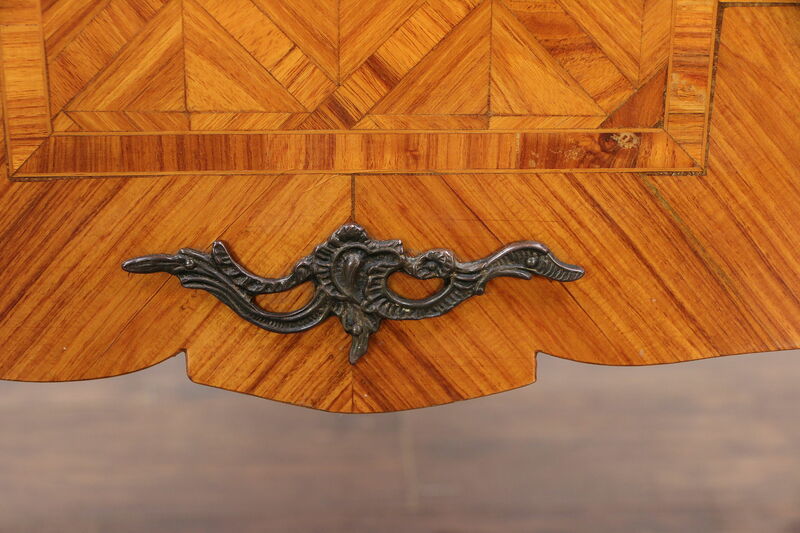 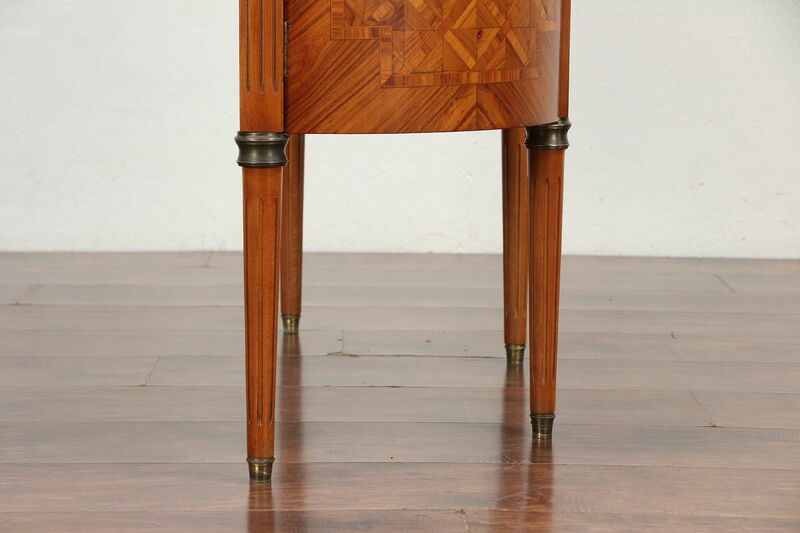 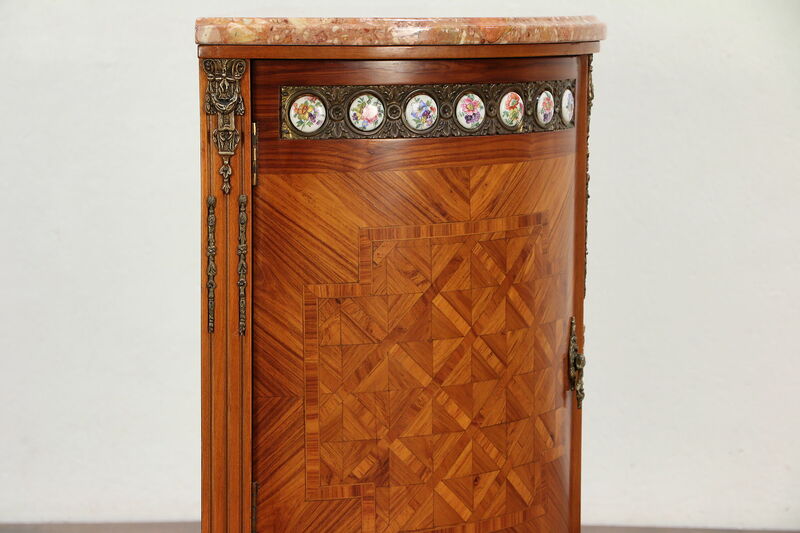 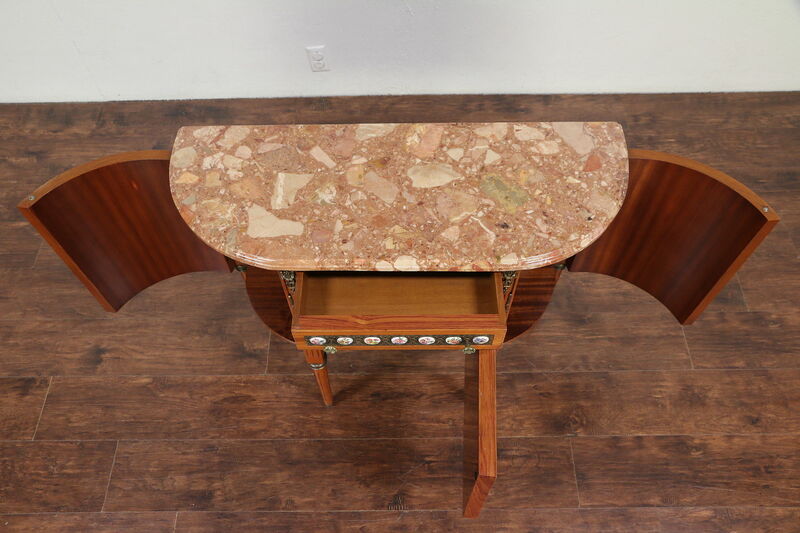 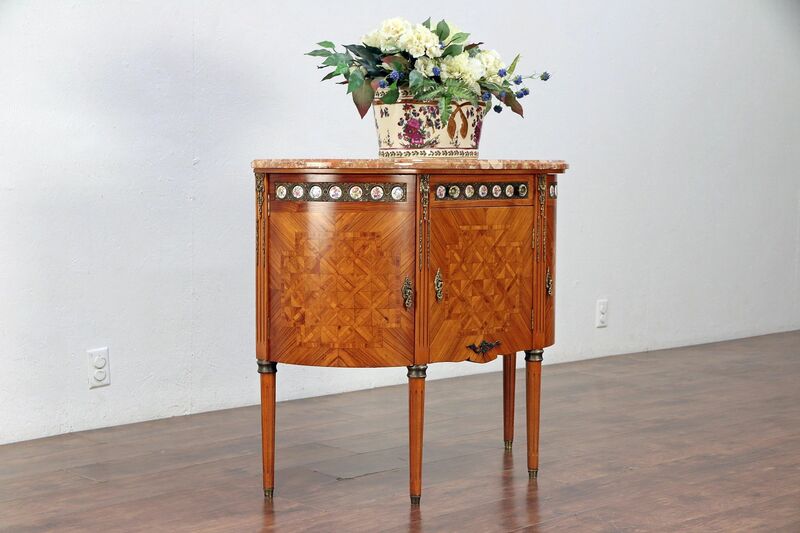 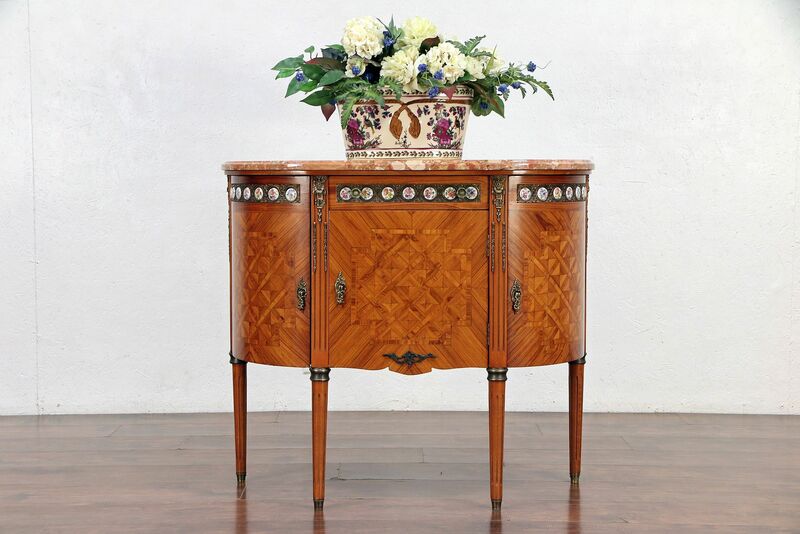 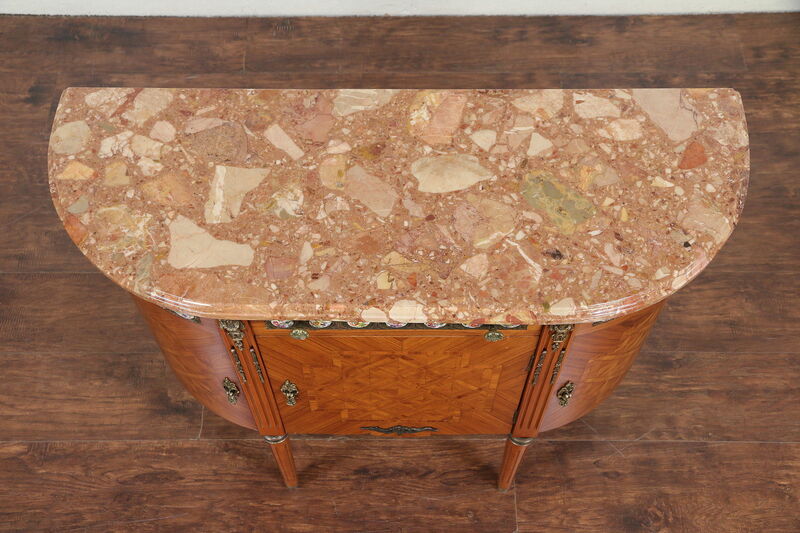 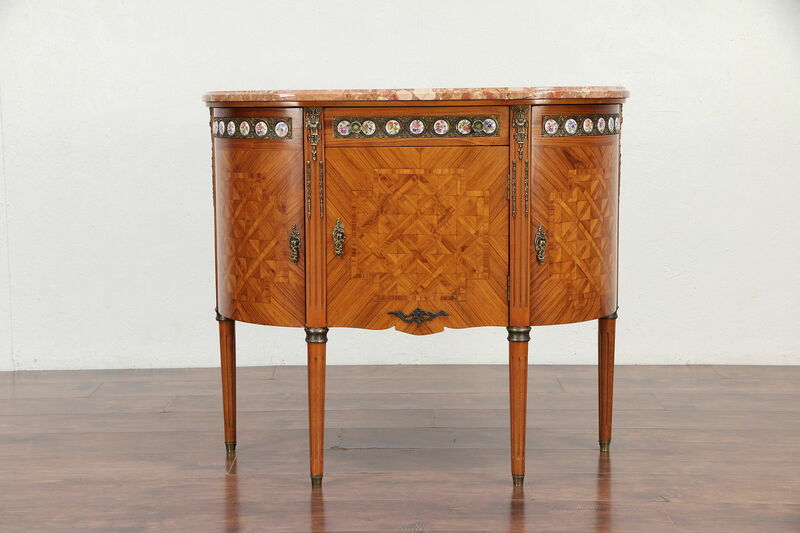 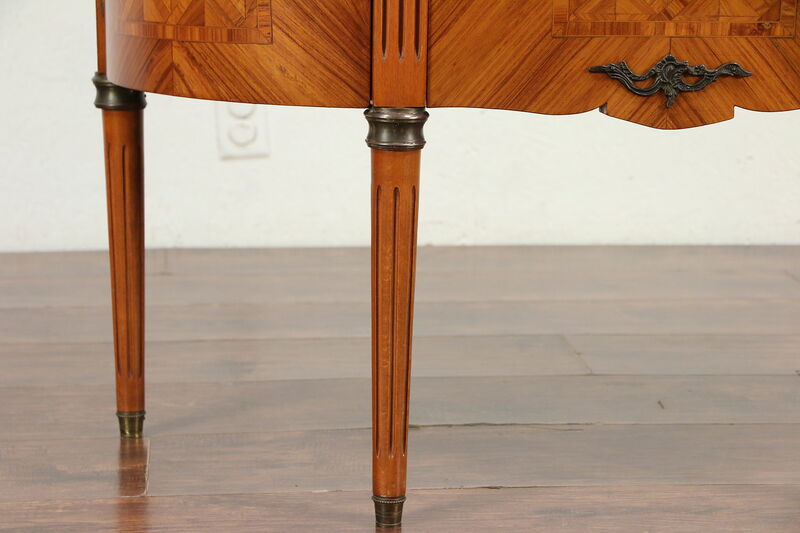 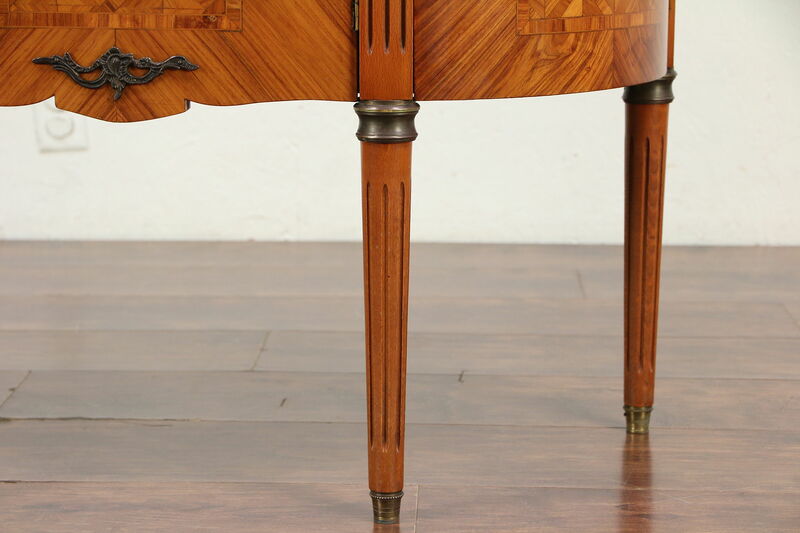 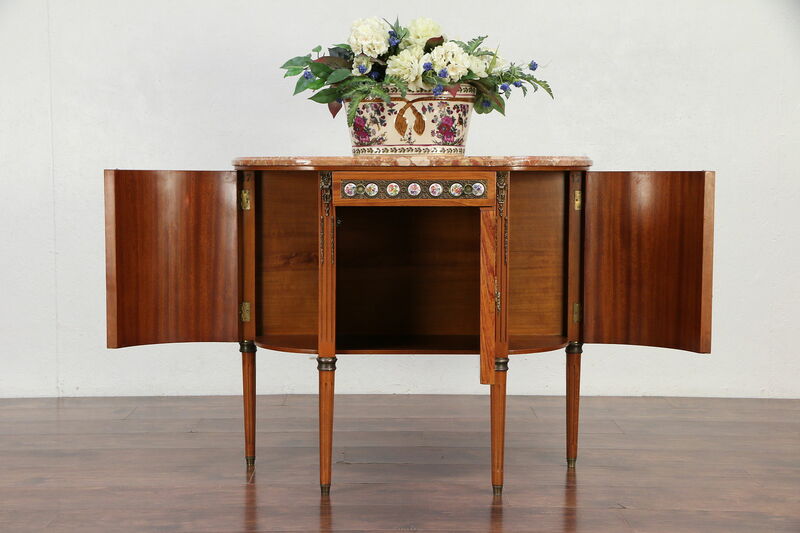 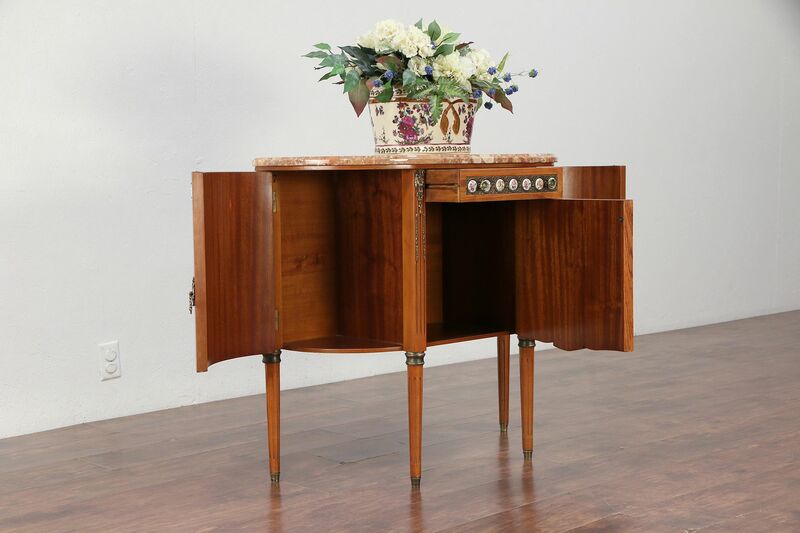 A demilune or half round hall console cabinet was hand crafted in Italy with genuine tulipwood and rosewood inlaid marquetry and a "Brescia" marble top. 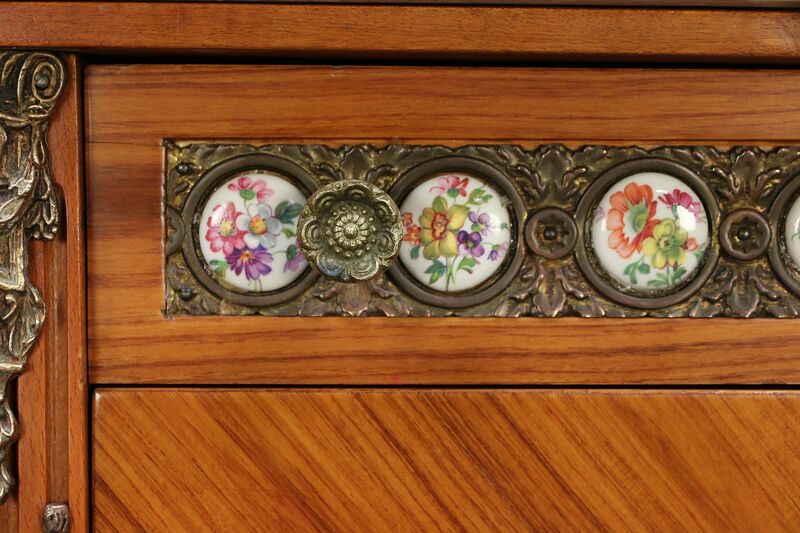 About 60 years old, original brass mounts include a filigree frieze with hand painted porcelain medallions. 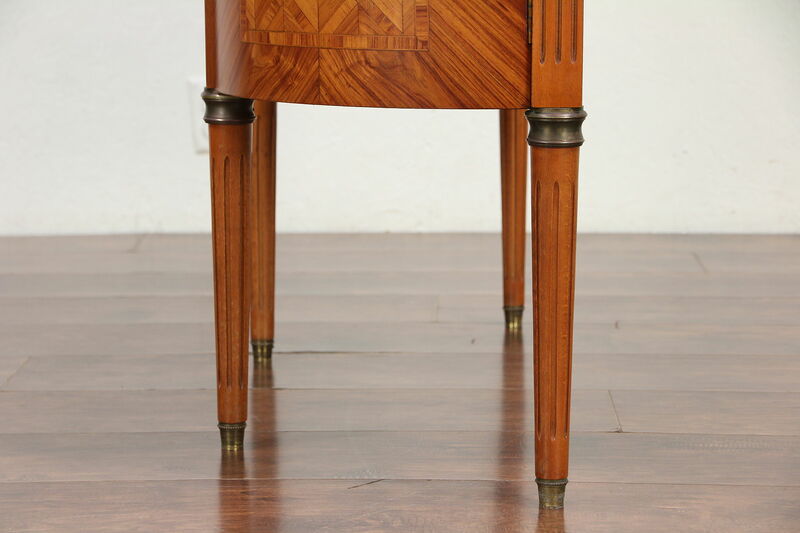 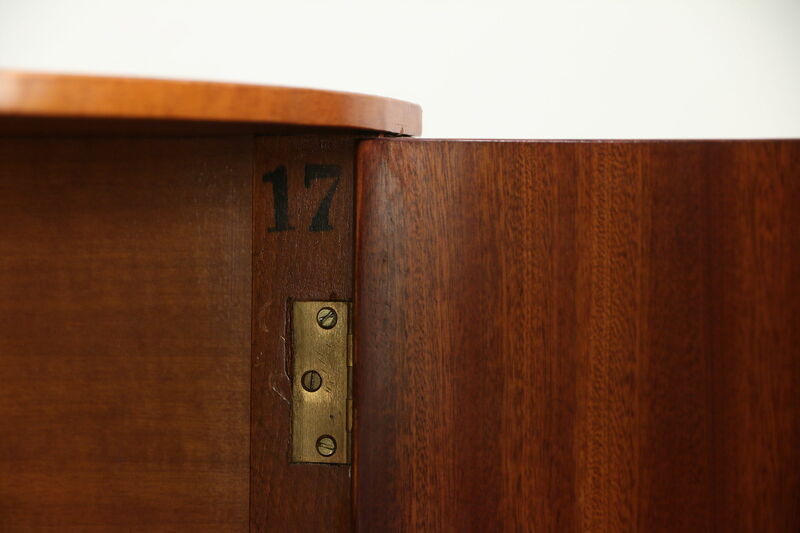 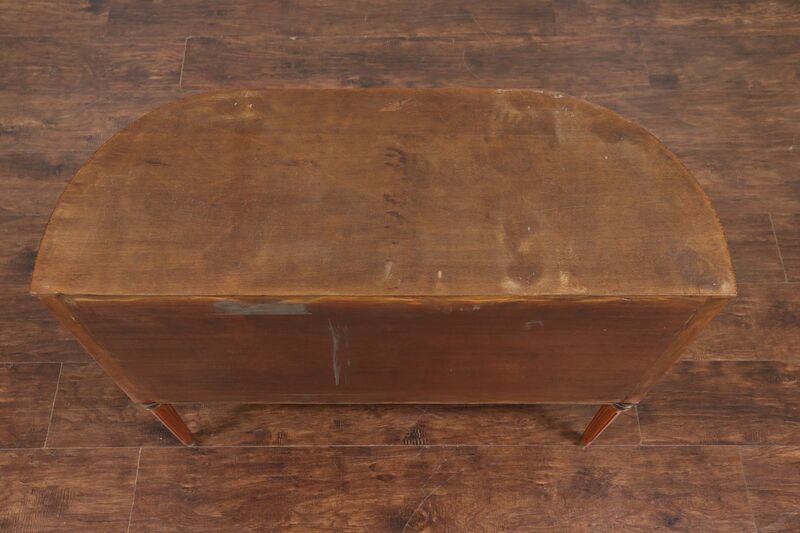 The original finish is in very fine condition on this vintage furniture from Italy with a few tiny shrinkage separations from age and mars a the edges, see photos. 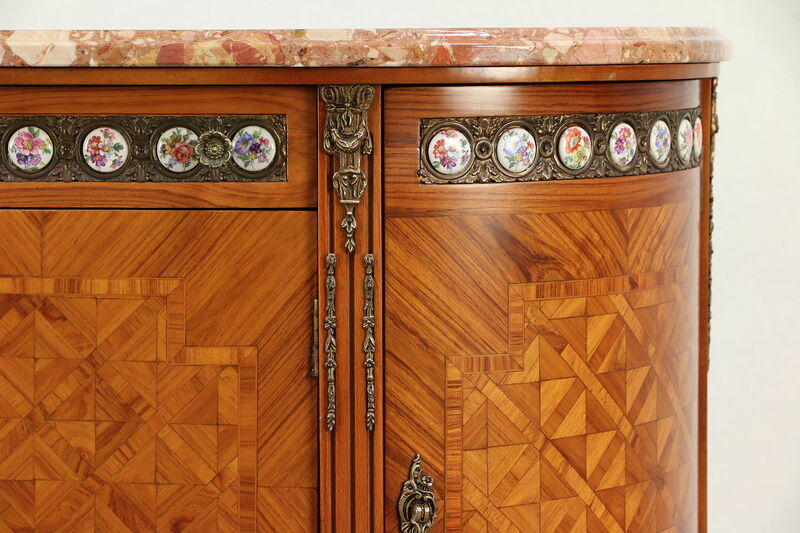 There are minor scratches in the protective finish on the marble. 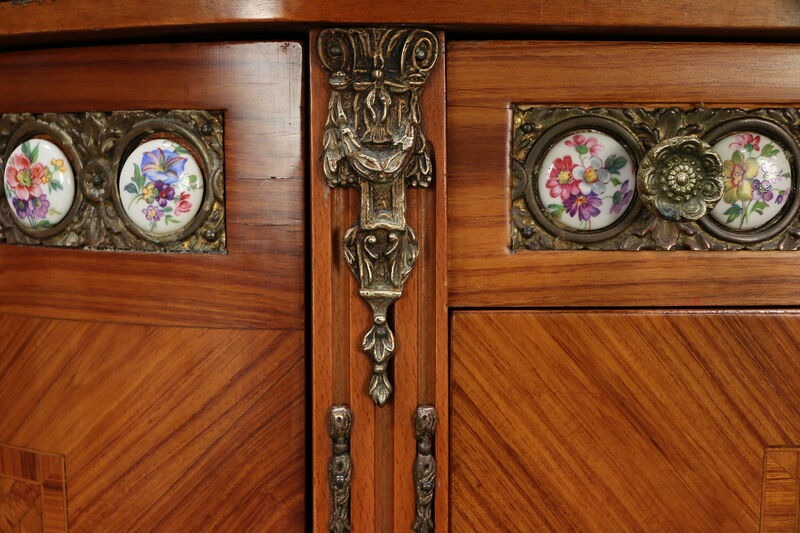 Side doors are curved. 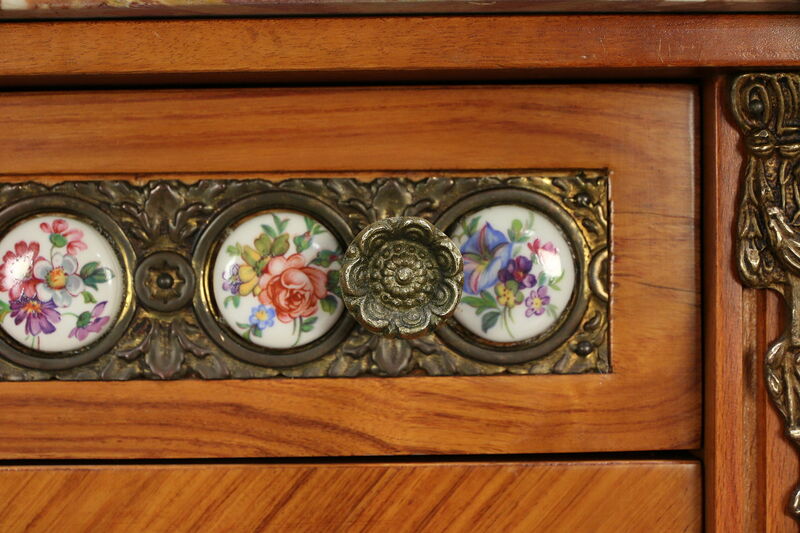 Size is 36 1/2" wide, 14" deep and 32 1/2" tall.